The McCarthy era in the United States reached its peak in the 1950s and lead to a state of instability. At the beginning of the Cold War, the fear of the spread of Communism soon escalated into the Second Red Scare, which meant that all alleged threats of Communism spreading further had to be stopped at all costs. To help identify any sources of threat immediately and most effectively, the House Un-American Activities Committee (HUAC), helmed by Senator Joseph McCarthy, pinpointed a set of guidelines that were to reinforce societal norms. Ákos Seress, in his A Veszedelem színházai: Az amerikai dráma a hidegháború alatt [Theater of the Scares: American Drama during the Cold War], takes an analytical look at the dramas of Tennessee Williams, Arthur Miller, and Edward Albee and shows how they reflect on the political discourse about the Red and Lavender Scares. Through the analyses of selected dramas by these canonized modernist playwrights, Seress draws attention to the fact that the McCarthy era guidelines were created with the clear aim to detect the enemy from within. Since these new rules emphasized the individuals’ physical appearance—as that is the aspect of a person that can be read most easily by their surroundings—, gender and sexual identities became particularly important on the level of national security. Cat on a Hot Tin Roof (1955), A Streetcar Named Desire (1947), and A Lovely Sunday for Creve Coeur (1979) are the three plays by Tennessee Williams that are examined in detail in the section titled “Among the Outcasts.” Seress demonstrates that the characters in Williams’s plays are marked by their outcast status in society and that their position comes to be formed by social discourses. This political discourse that defines social norms whittles down the space in which the individual is allowed to move freely because it outlines the “system of acts” that creates the prototype for acceptable “feminine” and “masculine” behavior (26). Seress also notes the importance of not following the norms in the era of the Scares, as that would have automatically put the individual in danger. Accordingly, the selected plays by Tennessee Williams are analyzed in this context, with a focus on the dynamics between the outcast and out-caster. In the section that discusses the dramas of Arthur Miller, titled “Fathers and Sons,” it is emphasized that during the Cold War period in the United States—which came to be shaped soon after the end of WWII, at the same time the nuclear period was being outlined by the political discourse—the model of the nuclear family was represented as the sole form of survival. Seress presents The Man Who Had All the Luck (1944), All My Sons (1947), and The Death of a Salesman (1949) as examples to show the ways in which Miller’s plays dismantle the “family as a bunker” (74) concept through the investigation of familiar relationships. Instead, Miller focuses on the individual that is perpetually being formed in accordance with the normative guidelines within the family. The last section, concentrating on the theater of the Scares and titled “Illusion and Fragmentation,” deals with the works of Edward Albee and discusses how the modified version of the Red Scare reimagined in the shade of lavender, which contributed to the persecution of gay and lesbian citizens, worked in the world of the theater. The witch-hunt that called out anyone who steered away from the carefully carved out guidelines had been going on for over a decade by the time Albee’s Who’s Afraid of Virginia Woolf (1962) debuted on Broadway. Seress, also discussing Albee’s The Zoo Story (1959), notes the effects of the immensely homophobe Lavender Scare on the critical reception and interpretation of plays in the period. 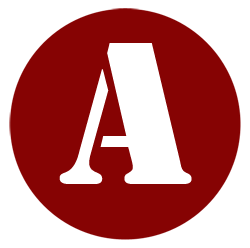 The last but one section of the book, titled “American Panorama,” includes reviews of three contemporary publications by Hungarian scholars on dramatic theories: Mária Lenke Németh’s “All it is, it’s a carnival:” Reading David Mamet’s Women Characters with Bakhtin (2007), Gabriella Varró’s Mesterek árnyékában: Sam Shepard drámái és a hagyomány (2013) [In the Shadows of the Greats: The Dramas of Sam Shepard and Tradition], and Réka M. Cristian’s Cultural Vistas and Sites of Identity: Essays on Literature, Film and American Studies (2011). The intention here appears to be twofold: on the one hand, it is a moving tribute to a lost a lost colleague, Varró, whose legacy is kept alive and vibrant; and on the other, it is a brief summary of the state of the study of modern American drama in Hungary. The last section of the book, titled “Excursion—Potential of Cognitive Theater Studies,” takes a brief detour into the possibilities of incorporating cognitive sciences into theater studies. By discussing “theater and/as a metaphor” (200), Seress points to the opportunities that lay in redefining the existing concepts in theater theory, as they could open up new avenues for further debates. Moreover, Seress adds that it is the already existing linguistic theories that are adapted through cognitive theories into theater studies. What Seress suggests instead, in an attempt to expand the discourse on theater studies and chart unmapped territories within the field, is an analyses of “mimics, and the role of gestures” (213) in theater history through the concept of the theory of mind. Seress’s book contains an overview of both the context and the underlying contents of the most popular plays written in the United States at the peak of the McCarthy era. 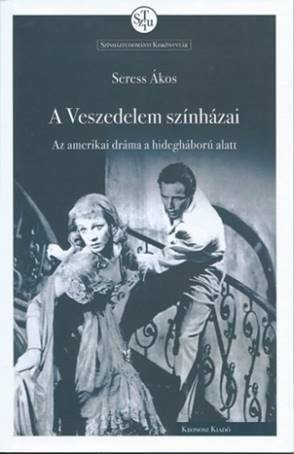 What makes this book stand out is that it provides an in-depth analysis of some of the most influential pieces in American drama interlaced with contemporary Hungarian dramatic theory that can be read by Hungarian theater enthusiasts and scholars alike. Due to its detailed yet accessible character, this book could serve as a useful installment on recommended reading lists on course descriptions for both high school and university students. Cristian, Réka M. 2011. Cultural Vistas and Sites of Identity. Essays on Literature, Film and American Studies. Szeged: AMERICANA eBooks. Németh, Mária Lenke. 2007. “All it is, it’s a carnival.” Reading David Mamet’s Women Characters with Bakhtin. Debrecen: Kossuth Egyetemi Kiadó. Varró, Gabriella. 2013. Mesterek árnyékában. Sam Shepard drámái és a hagyomány. Debrecen: Debreceni Egyetemi Kiadó.